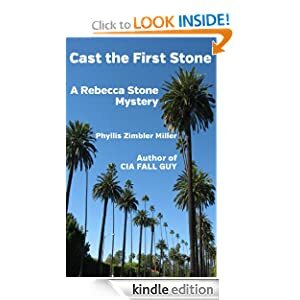 In her first amateur sleuth case she is asked to help determine whether the murder of a Wharton professor spending the summer term at UCLA is connected to The Wharton School. But when this request requires Rebecca to work with a former fiance who dumped her to focus on his Wall Street career, Rebecca is confronted with the moral dilemma of whether the price of Wharton team spirit is too high. Meanwhile, she tries to improve her cooking skills to impress her current fiancé. He doesn't know about her former one and Rebecca intends to keep it that way! Recipes from the Jewish holiday book SEASONS FOR CELEBRATION by Rabbi Karen L. Fox and Phyllis Zimbler Miller are included in this cozy mystery.